It wasn’t the biggest snow fall or the heaviest but it was something. This is literally the first time using the Quattro 102. Used to take 20-25 minutes with the ultra and fast tach, today it was 10 minutes. If your on the fence I would say get it, there are a lot of advantages to it. With our cold climates we get up there it is hard to get traction. So we’ve been using the WolfPaws Tires. They give us great traction, they don’t wear as quick as our original tires. The biggest change my operators noticed were on sidewalks. They could climb curbs easier and not have to ram to go over curbs. When they are doing long, straight pushes they could go to the end of the parking lot and not have to take small passes. Once we started switching over to the FastTach units, it's definitely cut our time down, I'd say by 30% on our properties. The benefits of using the WolfPaws tires versus the conventional skid-steer tires is the traction. It seems like these things hook up and the pushing ability is considerably increased with the WolfPaws versus conventional skid loader tires. This past year was a historic winter in Boston and the SnowWolf UltraBlower was an integral part of our operation. We brought it out to about 50 or so sites and it saved us tremendously on hauling and trucking this year. The blower preformed outstanding. We have 3 other sizable blowers in our operation and this one was not down at all throughout the whole season. 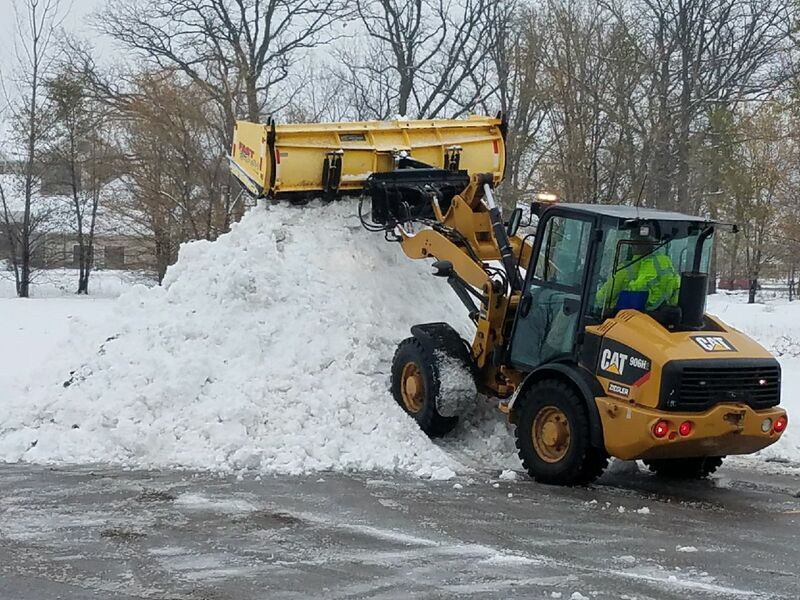 Our company is expanding rapidly and we finally started using machines to help clear snow instead of just pick and dump trucks. 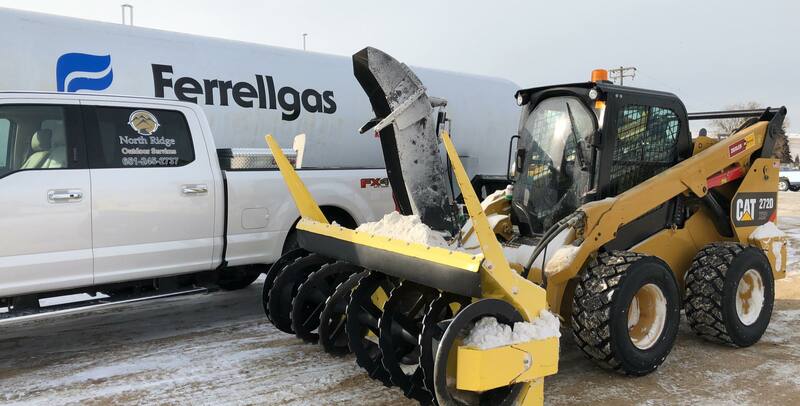 I tried using a pusher box last winter on our MTL skid steer, I liked the idea of a box to contain snow but was frustrated by not being able to angle the box. We purchased a QuattroPlow for this season and I am beyond impressed with it. I cut my plowing times in half. 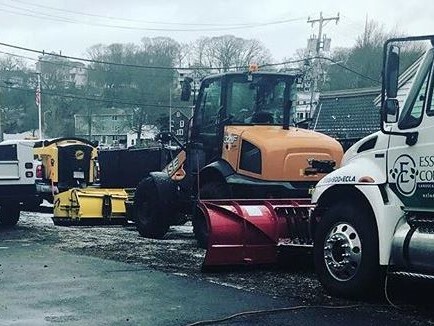 I use the QuattroPlow on both driveways and parking lots and being able to go from box to back drag all in one blade is all you need and more. Beyond impressed with this blade and will purchase more for sure as our machine fleet grows. 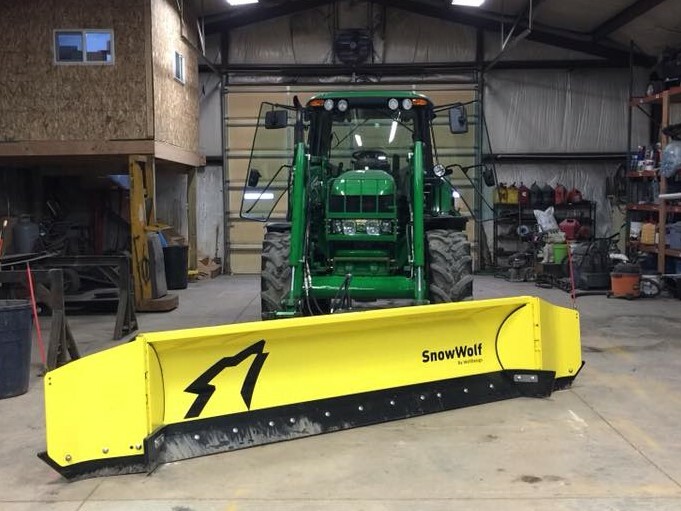 Bought the SnowWolf this season for the tractor. Increased efficiency by 35%. Very happy with our purchase. Would definitely buy another. SnowWolf plows are military grade compared to others. It's all I buy. The SnowWolf product is amazing and without the tires would’ve been a huge mistake I am cutting my time down by over an hour on certain lots absolutely impressed. Absolutely amazed, I knocked 3 hours today off the same route I have been doing for 4 years. The tires are a must for the plow. I’m a very happy guy very impressed and that was a wet heavy snow, thank you for a great product. Absolute money maker. Does the work of 2 skids. First time out with the WolfPaws Tires paired with the SnowWolf QuattroPlow. Unstoppable, it's a beautiful thing!! Starting to love this set up more and more every time I plow with it. You will love it for townhomes. No more chasing the box around to clean up after back dragging. SnowWolf UltraBlower is the only blower I would recommend. Ultra Blower will eat through any amount of snow and throw it at least 40+ feet. Nothing can stop this blower. Awesome tool for the payloader toolbox! We have had nothing but good comments from operators running this machine. The traction is so phenomenal. They're worth every penny. The amount of time I save in a parking lot due to the fact of the traction... If I didn't have the traction, I couldn't push this new attachment. I can't say enough for these tires, how much traction we got. It is crazy! After getting our UltraPlow and FastTach we realized that our calculation of time that was going to be saved was way off. 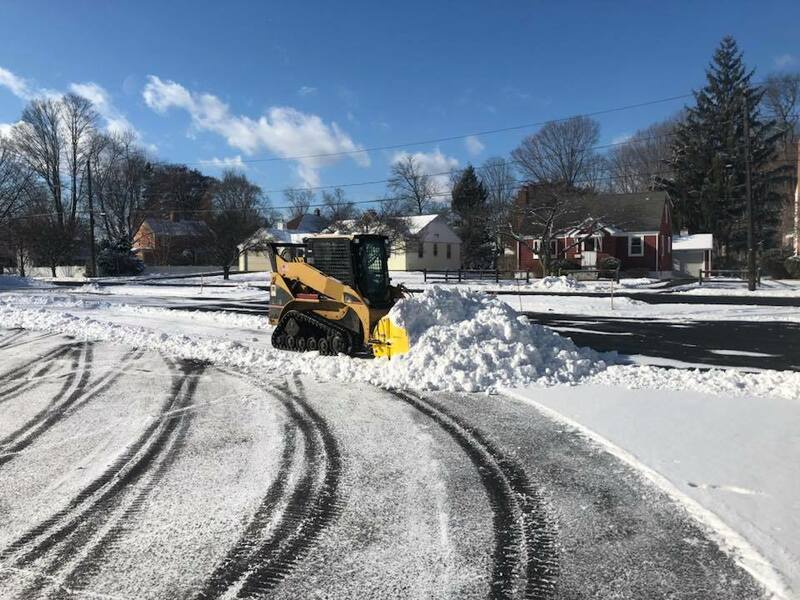 Being able to take off the FastTach and backdrag driveways then put it back on to push that snow, you can really do two machines work with one ! Having townhomes and large parking lots we feel comfortable sending our FastTach too them all ! 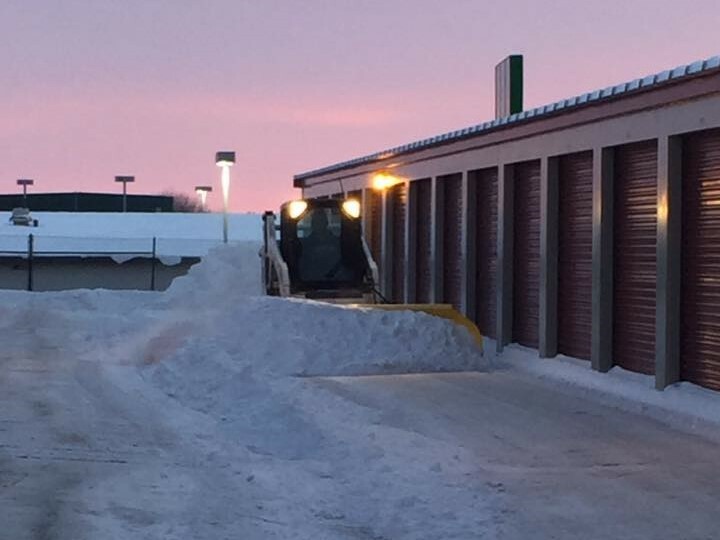 I take care of multiple apartment and storage units, I was getting tired of the tight areas trying to plow with a truck. I decided to purchase blade for my skid loader. During my shopping I looked at all the options and ended on the SnowWolf Ultra-96 with the WolfWings. Before the purchase of the SnowWolf the guys all complained about how long it took to plow these difficult sites. Since the purchase we were able to cut our time in half at these sites vs using truck and also cut out a some of the hand shovel work. 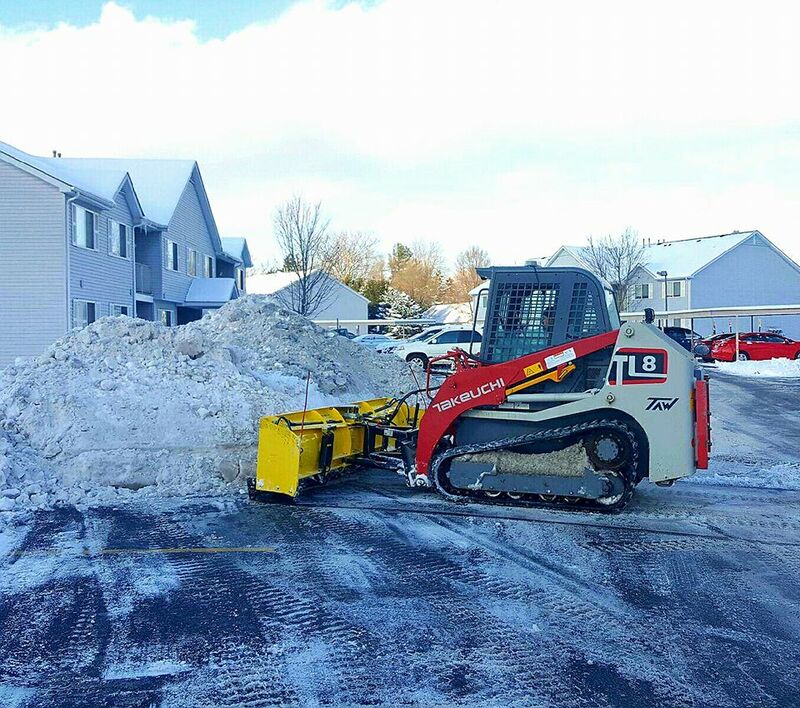 First push with the Quattro...10.5" of wet and heavy snow took one skid 30% less time than 2 trucks with Vblades have ever done at this apartment complex. We'll be ordering more! Thanks SnowWolf! [WolfPaws] They work better than anything I could ever imagine! We have had multiple big snows since I put them on and it’s some of the best money I ever spent. Thank you for a great product.